Home » brewing sake » don’t forget the big guys. a short interview with gekkeikan. don’t forget the big guys. a short interview with gekkeikan. I must start this post with an apology: I contacted the fine folks at Sydney Frank Importing in December for an interview, then proceeded to get side-tracked with the brewing of our Sake/Beer hybrid and other projects. I remembered the information that they provided just recently; this post is made possible by the work that they did in December. Sorry guys. When thinking about the “hot” brands in the food and beverage arena, the popular eye is definitely turned toward artisinal producers. Whether it’s the newest one-man pickle making operation in Brooklyn or your area’s newest nano-brewery, people just love products that feel “crafted”. It is really easy to love these newer brands and forget about the larger brands that paved the way and made the market possible for those products. I run into this everyday in the craft beer world. While Budweiser and similar breweries make beers very far from my daily drinking choices, it is hard to ignore Budweiser’s historic contribution to American brewing: early use of pasteurization, ingenuity in distribution and the refrigerated rail car which allowed them to grow rapidly in the late 19th century. 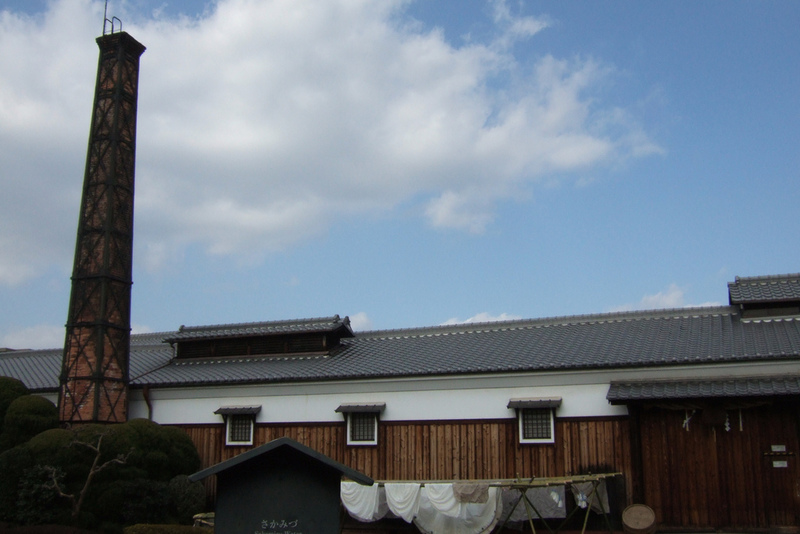 Gekkeikan traces its roots back to 1637 when a man named Jiemon Okura founded the Kasagiya brewery in Fushimi. With its good water and close proximity to the capitol city of Kyoto, Jiemon’s brewery grew to be very successful. It wasn’t until Jiemon’s 11th successor Tsunekichi Okura focused on “modernizing” the brewery in the late 1800’s that the company known now as Gekkeikan grew to become the huge powerhouse that it is today. In 1989 Gekkeikan also pushed into new areas when it decided to open a modern brewery in California. Nestled near the California rice growing areas around Folsom, this brewery is responsible for much of Gekkeikan’s U.S. Sake. To learn more about how such a large brewery thinks about it’s Sake and the slowly growing U.S. market, I posed some questions to Ryan Fisher, Brand Manager at Sydney Frank Importing. Sidney Frank Importing just celebrated the 40th anniversary of it’s partnership with Gekkeikan. Ryan was nice enough to reply to my email and I have listed his answers below. 1. Gekkeikan has had a long history of selling Sake in the U.S., what has been the Gekkeikan strategy to grow its share of the U.S. market to 25%? 2. You sell Sake in many different package forms (bottle, tokkuri, small carbonated bottle (Zipang), 180ml one cup, box etc.) How instrumental has packaging choice been in gaining new market share in the U.S.? Gekkeikan has been a leader in innovation and continues to look at new and creative ways to bring premium Sake to the consumer. 3. Has Gekkeikan developed any U.S. Sake that differ from its Japanese products? We use the same premium and high quality sake making process to produce our U.S. products. 4. How has Gekkeikan attempted to educate the American consumer on the merits of Sake? Have you seen a change at the retail level? Sake education is key to help grow the U.S. business. We are always looking at events and partnerships that give consumers a better understanding of Sake, how it’s produced and the Gekkeikan story. We are targeting the non-Asian accounts and more general market places in order to give consumers something different in their cocktails and to have them view Sake as more than something consumed during your visit to a sushi restaurant. Many consumers are looking for non-sulfite products. Sake has no sulfites, gluten and no preservatives. 5. How important has Sake cocktails and other uses of Sake been to the Gekkeikan U.S. business? As in other spirit categories, cocktails and mixologists play a major role in growing Gekkeikan. We work with Todd Richman, our Corporate Mixoloigist, and our Sales team to educate on premise accounts about the versatility of Sake and how it can easily be incorporated in any classic or contemporary drink. We recently worked on various Sake sangria and cocktail recipes in order to offer our accounts something unique. 6. In your opinion, where is the U.S. market going? What things will we see driving Sake growth going forward? We have seen continued growth the last few years and nothing in the current marketplace tells us that will change anytime soon. We are starting to see consumers realize Sake can be very versatile and switched out for your vodka martini or sangria of choice. This trend will continue to help grow the category along with different innovations and flavor profiles. Gekkeikan sales have been growing every year for over 20 years and continues growing during a tough economic market.